The Ohio State University Department of Women’s, Gender and Sexuality Studies (WGSS) is an evolving interdisciplinary field that examines how systems of oppression, resistance and privilege operate. The department is designed to provide students with an understanding of the importance of gender and sexuality as categories of analysis and their intersections of race, ethnicity, class, age, nationality and (dis)ability. 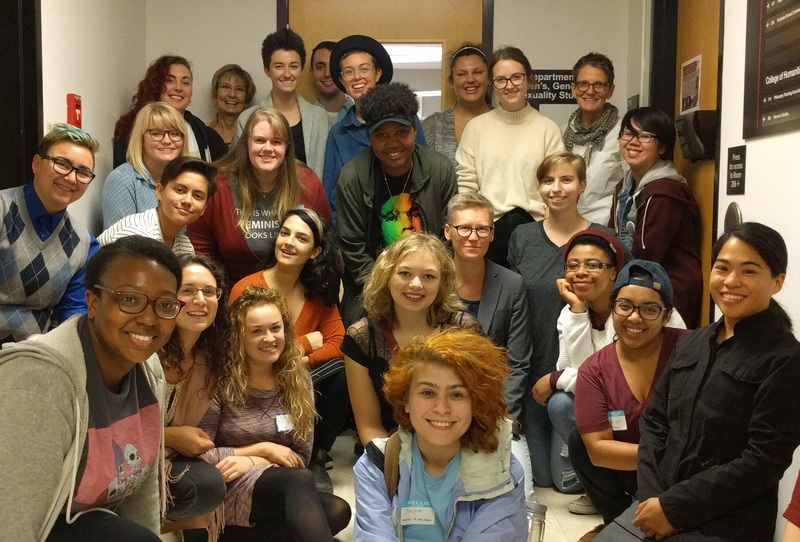 WGSS advances the field through interdisciplinary research and innovative pedagogies, inspiring a new generation of gender and sexuality scholars and feminist leaders committed to social justice. The department hosted the 2017 International Women’s Day Teach-In where more than 1,000 students were in attendance. Cynthia Burack, professor, does research in the areas of religion, sexuality, and politics. Her most recent work focuses on sexual orientation and gender identity (SOGI) human rights. She co-edits the Queer Politics and Cultures book series at SUNY Press, and her forthcoming book, Because We Are Human: Contesting US Support for Gender and Sexuality Human Rights Abroad, will appear in that series in 2018. Guisela Latorre, associate professor specializing in modern and contemporary U.S. Latinx art, muralism and visual culture. She recently co-authored ¡Murales Rebeldes! L.A. Chicana/Chicano Murals Under Siege (Angel City Press, 2017). Her book manuscript titled Hecho en Chile: Street Art and Visual Democracy of the Post-Dictatorship Era is currently under review with SUNY Press. Treva Lindsey, assistant professor specializing in black feminist theory, women’s history and popular culture studies. Professor Lindsey has a strong presence as a guest contributor to online forums such as NPR, Al Jazeera, and BET. Her recent book, Colored No More: Reinventing Black Womanhood in Washington, D.C. (University of Illinois Press, 2017), traces how African American women of the early twentieth century made significant strides towards making a more equal and dynamic urban center. 2015 marks the 40th anniversary of WGSS programming at Ohio State. Since its inception, faculty and students in WGSS have raised awareness and introduced new modes of thinking about gender and sexuality and contributed to social change. The department hosted an anniversary celebration on May 1, 2015, to commemorate its past, honor those who helped the department grow and inspire a new generation of gender and sexuality scholars and feminist leaders committed to social justice. Lisa Lopez (‘76), WGSS’ first-ever graduate, returned to campus to meet with undergraduates and faculty to record a historical narrative of her experiences.